Princess, the ex-Big Brother Naija housemate has been dragged by social media users, for showing off an alleged ‘surgically enhanced' bikini body on Instagram. The reality show star had shared her photos with the caption, 'Am outchea cheating the weather I feel good U know.' 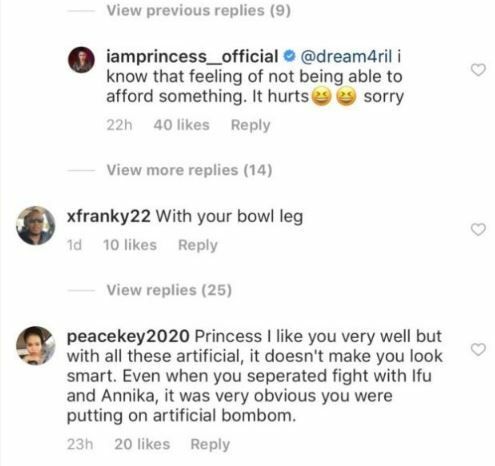 However fans who reacted to the photo, dragged Princess for showing off a ‘surgically enhanced' bikini body which according to them was a bad job. Princess has however refused to explain how she developed a massive bum overnight.